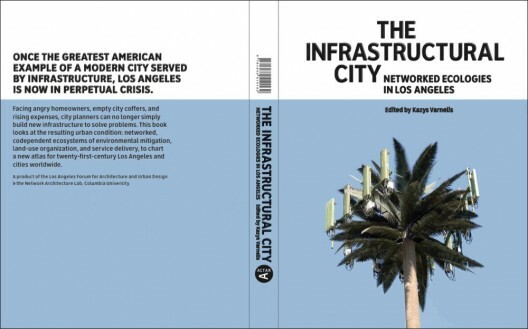 Netlab Director Kazys Varnelis edited and Netlab Associate Leah Meisterlin created maps for the Infrastructural City. 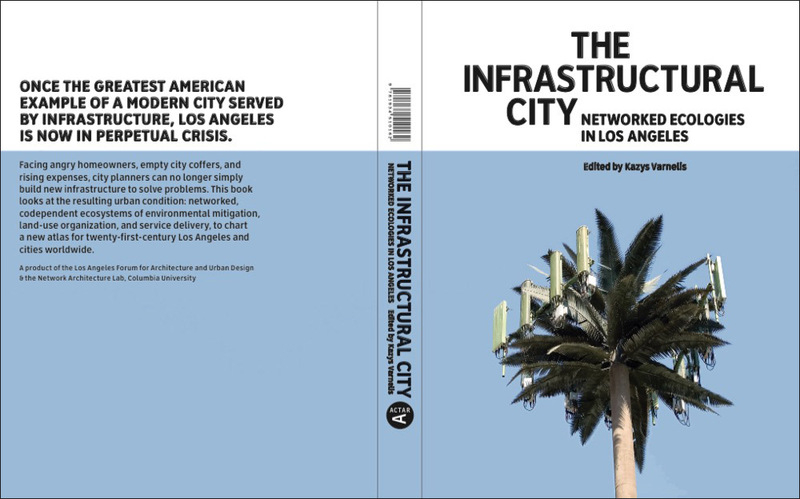 This 240 page book, published by ACTAR and produced in collaboration with the Los Angeles Forum for Architecture and Urban Design and funded in part by the Graham Foundation for Advanced Studies in the Fine Arts, The Infrastructural City is an edited collection of fifteen essays by architects, artists, and scholars mapping the nodes and lines of infrastructure shaping contemporary life in Los Angeles as well as other cities. The result serves as both a contemporary account of the infrastructural challenges faced by one city and a prophecy of what is to come on a planetary scale. Once the greatest American example of a modern city served by infrastructure, Los Angeles is now in perpetual crisis. Infrastructure has ceased to support architecture's plans for the city and instead subordinates architecture to its own purposes. This out-of-control but networked world is increasingly organized by flows of objects and information. Static structures avoid being superfluous by joining this system as temporary containers for the people, objects, and capital. A provocative collection of research through photography, essays and maps, this is book looks at infrastructure as a way of mapping our place in the city, remaining optimistic about the role of architecture to affect change.